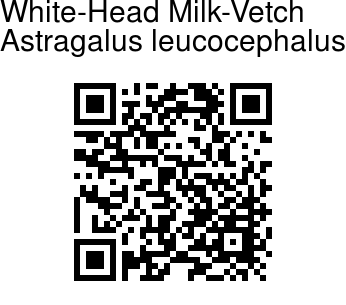 White-Head Milk-Vetch is a small shrublet with clustered stems, ascending about 7-20 cm, densely woolly. Flowers are pale pink, or less commonly yellow, in dense round silky-haired clusters, borne on long stalks longer than the densely woolly-haired upper leaves. Flowers are about 6 mm long; calyx 4-5 mm, with dense long, spreading white hairs. Leaves are compound, usually 2.5-5 cm long; leaflets oblong, very densely grey-woolly, 3-7 mm; stems many, densely clustered, spreading, 7-20 cm. Pods are 4-5 mm, finely hairy, stalkless. 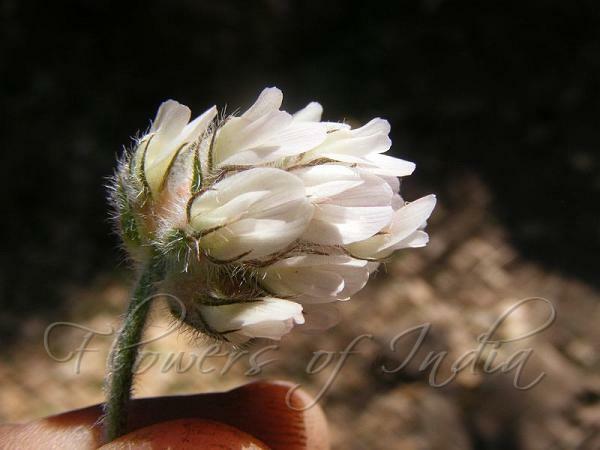 White-Head Milk-Vetch is found in the Himalayas, from Afghanistan to C Nepal, at altitudes of 150-4700 m. Flowering: May-August.